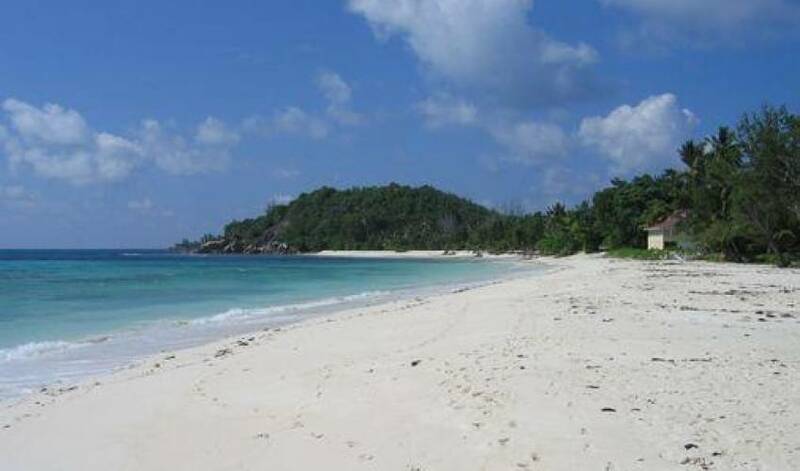 The property is nestled on one of the most beautiful white powder-sandy beaches of the Seychelles with excellent opportunities for swimming and bathing and presents a fascinating view onto the islands of Cousin and Cousine as well as Mahé and Silhouette. 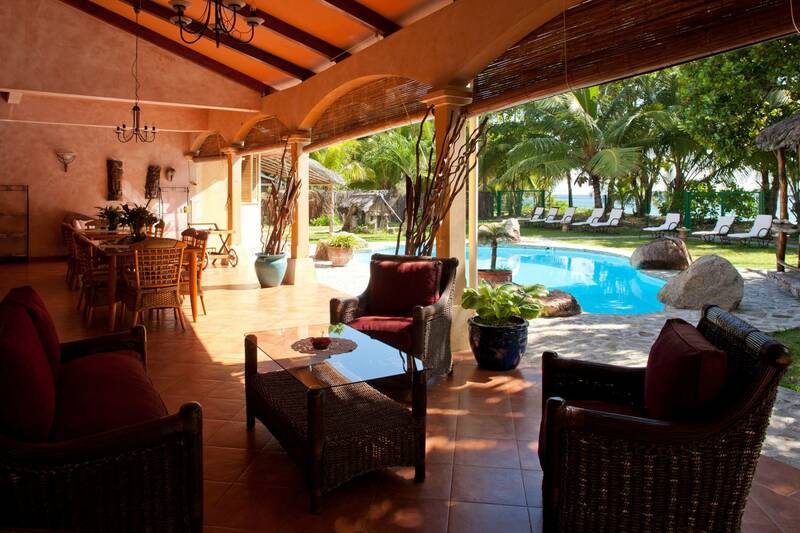 The Beach Pavillon offers a wonderful view of both offshore beaches and a breathtaking outlook onto the sea. 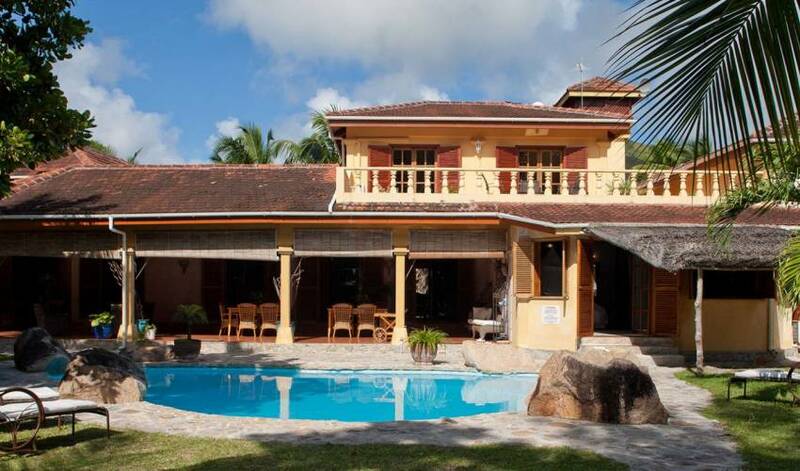 Built in a country-house style, it is located on the north western section of the island of Praslin on the beach of Anse Kerlan, with the most impressive sunsets on the island. It was recently completed in 1998/99 and is about 450 m² wide. The living room comprises the dining area as well as a music and TV-lounge. 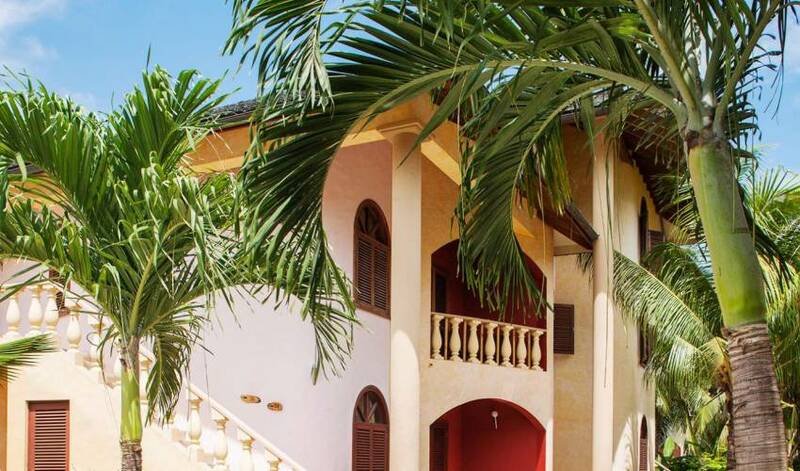 Moreover, the villa includes a kitchen, two guest toilets, four double bedrooms, three bathrooms and a laundry room. 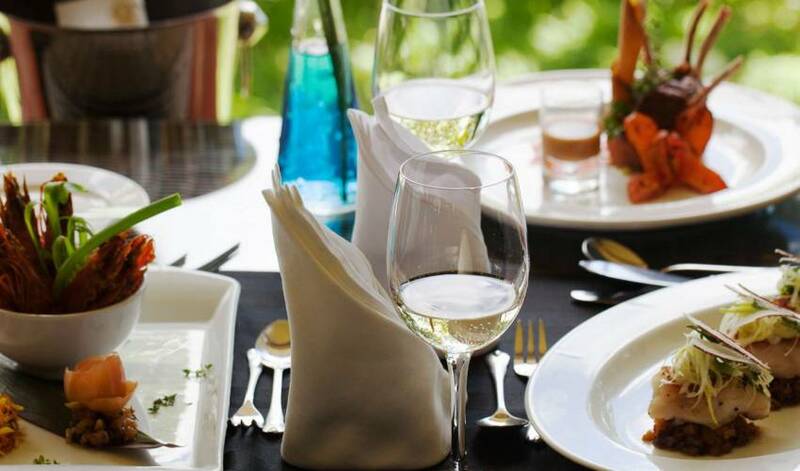 Just behind the spacious pool with grill bar stretches a garden with 4,000 m², which is planted with colorful tropical bushes, hibiscus, bougainvillea, coconut palm trees and takamaka trees. 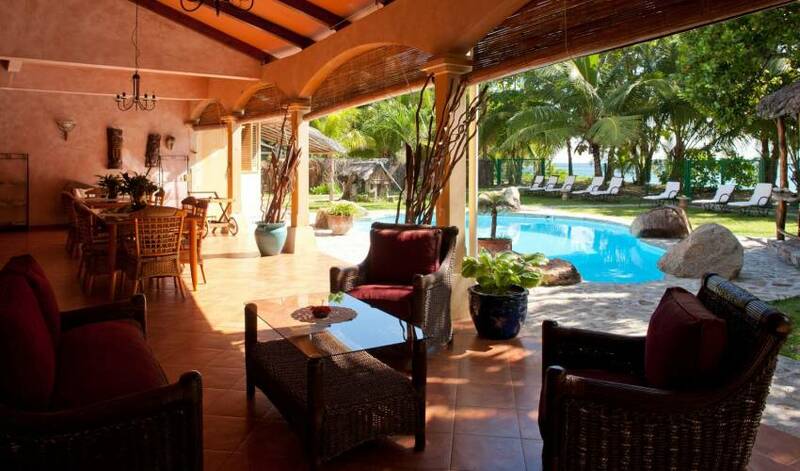 In the close vicinity of the villa you will find a supermarket and two smaller food stores (10-minute-walk). In a distance of about eight kilometres there are ten hotels, bars, and restaurants. 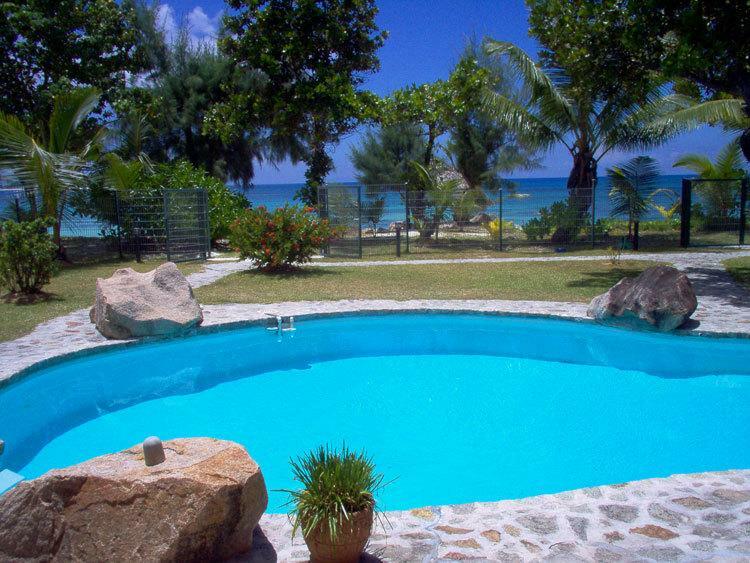 Various shops and boutiques are located in the setting of Grande Anse and additional restaurants, hotel bars and discotheques can be found in the Southern and Eastern parts of the island. The most elegant and luxurious hotel of the Seychelles is situated only 1.5 kilometres away on the North-Western bays of the island. Get to know the unique undersea world of the Seychelles while snorkelling and diving in the deep-blue waters. 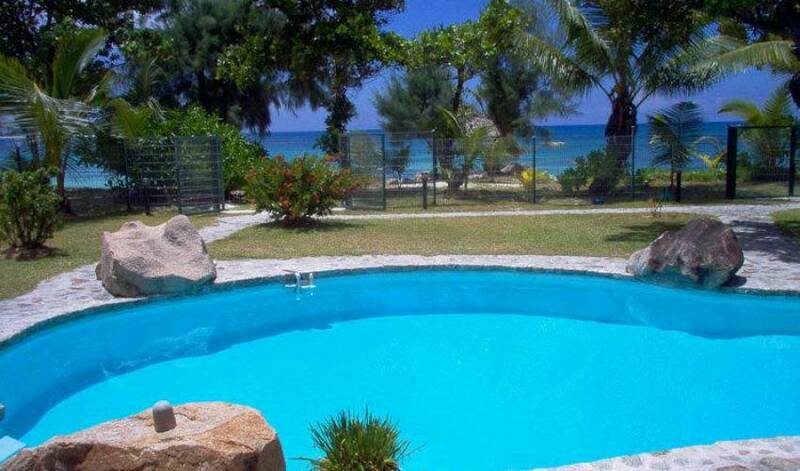 Several excellent diving centres are located in Praslin and for playing golf, the 18-hole golf course of the Lemuria Hotel, close to the beach, is available. If you want to try your luck, the Casino on the Côte d'Or (Gold Coast) is waiting for you. 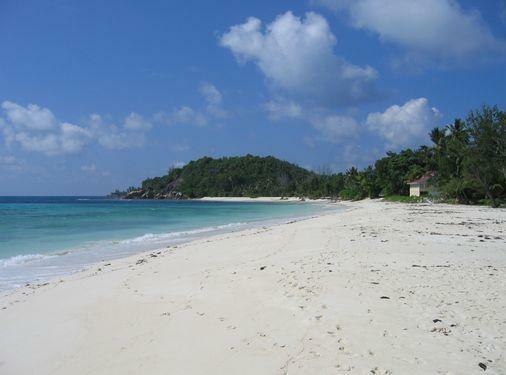 Praslin - the forgotten garden of Eden. 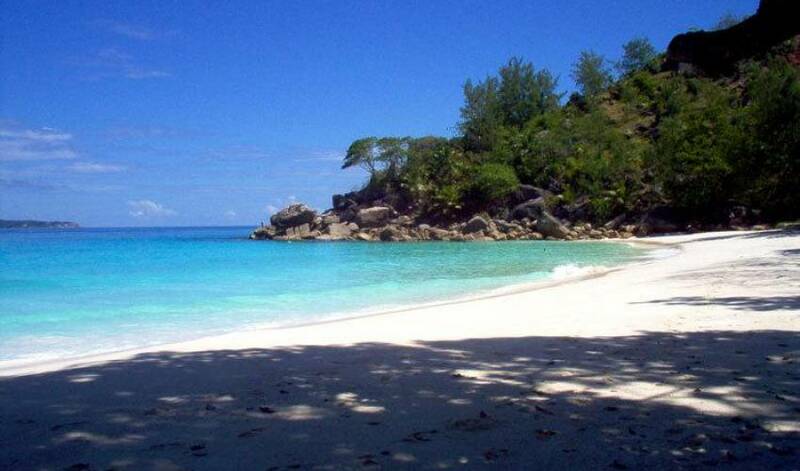 Praslin is the second largest of the Inner Islands of the Seychelles. It is an absolute must for every guest on Praslin to visit the Vallée de Mai, a unique natural preserve in the Eastern part of the Island. Well-kept paths will lead you through a flora, untouched for millions of years. The nature reserve was established about 40 years ago to protect the last 4000 pieces of the famous and legendary Coco-de-Mer palmtrees. In addition to the vegetation, the Black Parrots are especially fascinating and can be visited in their natural surroundings. 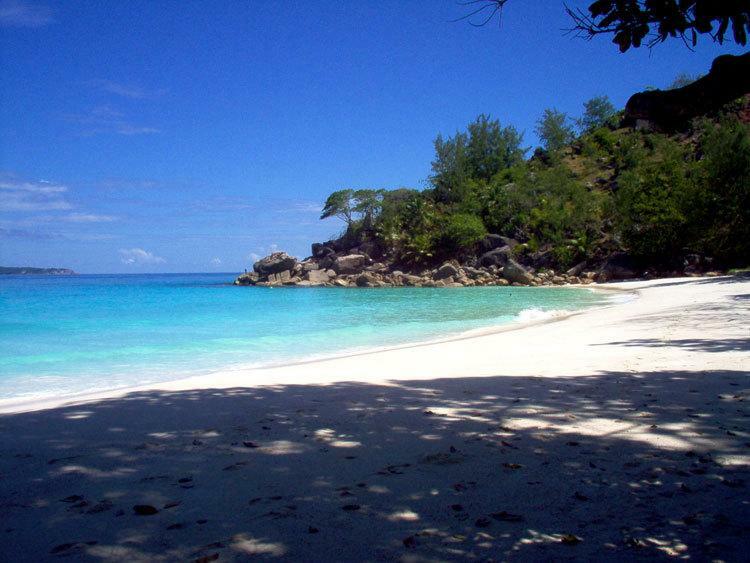 Air Seychelles, British airways and Condor are offering flights to the Seychelles. From Mahé International Airport, you can get to Praslin easily by Air Seychelles domestic flight (15 minutes), Helicopter Seychelles (20 minutes) or the fast boat Cat Cocos (one hour). The following ride in a taxi to the villa will take about ten minutes.